Author’s Note: I’m not entirely sure if this is necessary, but better safe than sorry. This is an official content warning. There are some age-inappropriate interactions that happen across the age group lines, specifically Young Adult with Teenager. Everything is PG, but still, this is your heads up in case that’s a sensitive topic for you. 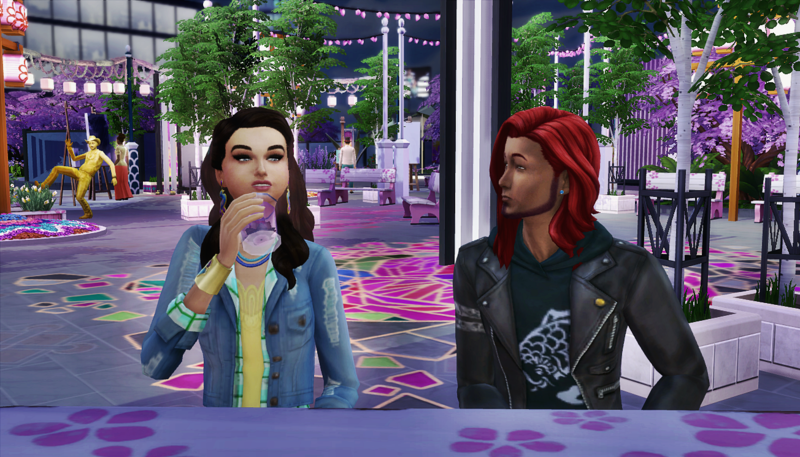 Robyn was at home, halfway watching her sisters while her mom was at a club meeting. The girls were really self-sufficient. It was hard not to be when their mom kept the fridge stocked with food, their butler was always available to help, and their father was available if they requested his attention. Her phone buzzed with a text message, and when she saw it, she blushed. 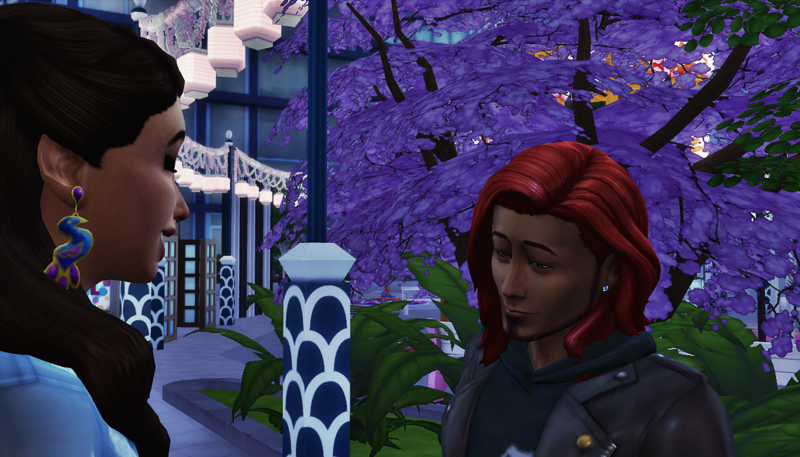 Robyn quickly told Baby OK. She found her father and asked him if she could go out for a bit. She assured him her little sisters were fine. Without checking his watch, he agreed, and told her to have a good time. Robyn: Thank creator Mom isn’t home, that would’ve been a much longer conversation. 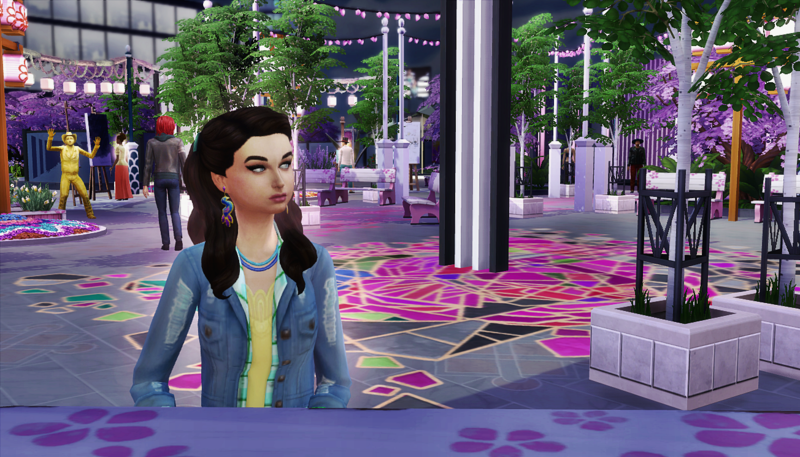 Robyn arrived to the Romance Festival and Baby was waiting on her. Baby laughed as Robyn showered him with rose petals. Baby: This girl is trouble. I know it, and she knows it. Robyn: Friends, my plum. 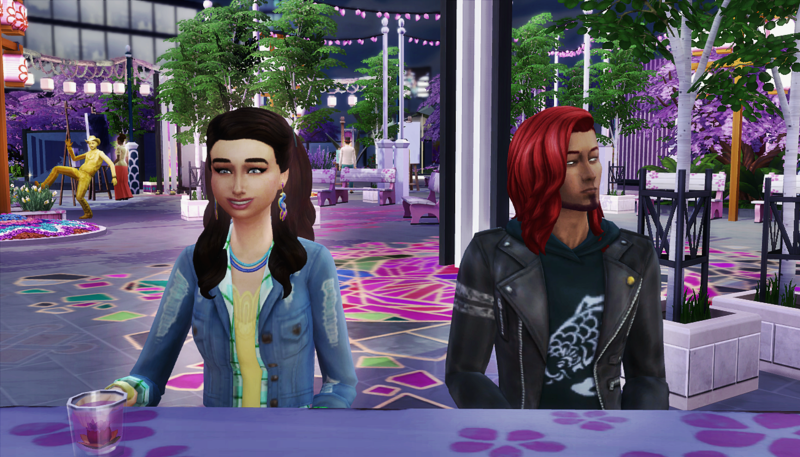 You don’t bring your friends to the Romance Festival. Robyn and Baby headed to the fountains and grabbed a glass each. Baby downed his immediately, but Robyn took her time sipping it. “You drink slow,” said Baby. Robyn stared at Baby for a moment. He was such a good-looking man. When she stared straight into his face, it was hard to concentrate. Luckily she hadn’t finished her tea yet or she’d be really distracted. Baby’s face turned serious, but Robyn’s face still had a hopeful smile on it. Baby seemed to realize he’d said way more than he intended, and maybe more than Robyn wanted to hear. Her smile seemed frozen on her face, if a bit more tentative. Baby looked away, feeling foolish for having this conversation with a teenager. Baby didn’t know what to say. He felt even more foolish now. Was he leading her on? Did he underestimate how she felt about him because he enjoyed the attention and convinced himself it was harmless? 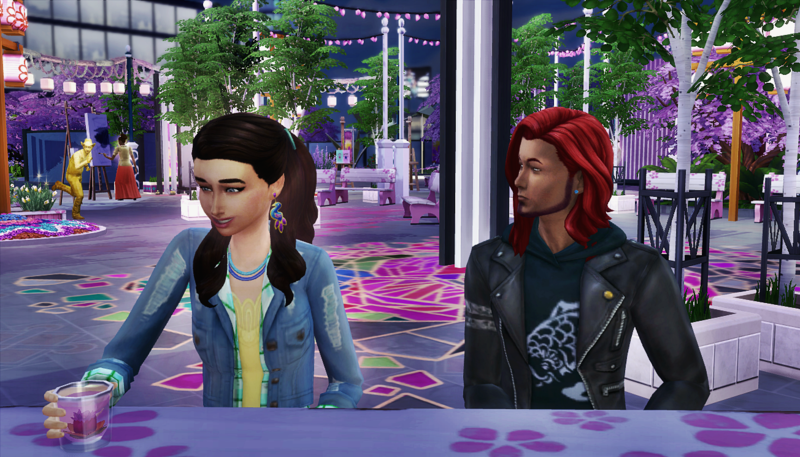 He’d told himself all their interactions were in the name of friendship, but he couldn’t think of another friend he’d bring to the Romance Festival. “I’m sorry, I don’t know what to say, excuse me.” Baby got up from the table and walked away. Robyn didn’t follow. She sat there and finished her drink. 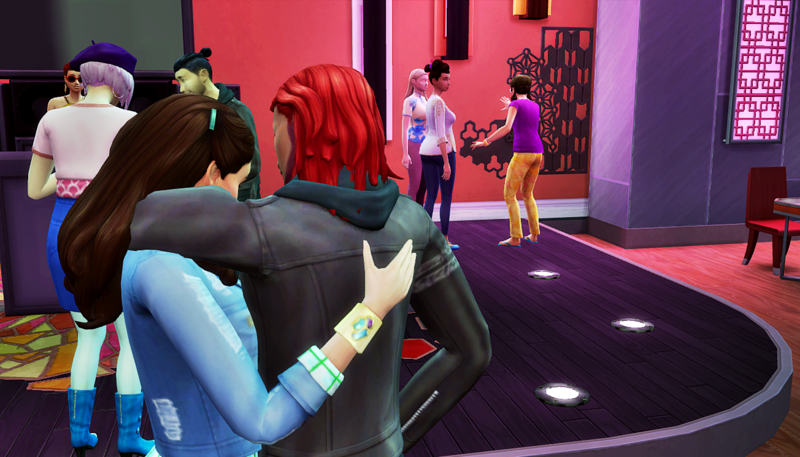 She got up to use the restroom in the karaoke bar, but before she could get there. He put his arm around her shoulder. “You don’t think of me as an adult either,” said Robyn. She wished Baby would give her some room, but she really didn’t want him to let her go. “When should we have it then, hmm? If you’re with Lesley because of your daughter, that’s never going to change.” Robyn finally pulled herself away from Baby and walked to a far corner of the room. I really loved this chapter. The conversation was so intense, and so necessary too. I am actually rooting for these two to find a way to be together someday… Though him being married with a child kinda complicates things! Oh. Also. 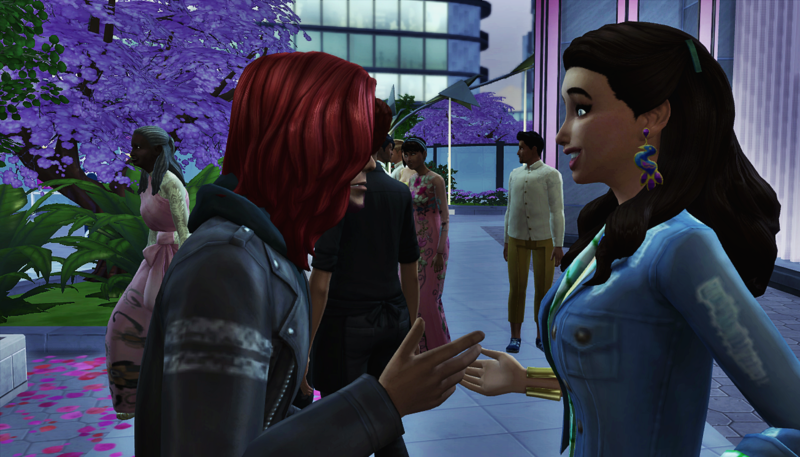 I just want to say: MCCC doesn’t know true love, but the Sims and native game engine do. Just ask Hugo . There’s some real truth to this. 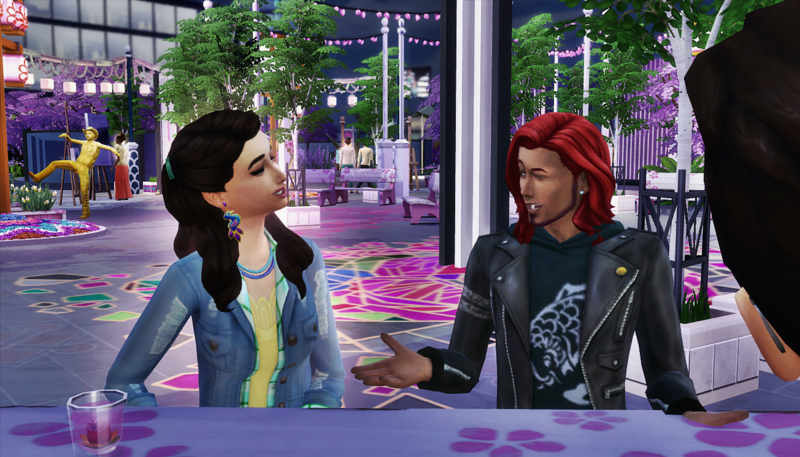 Even though I enjoy writing the dramatic things that happen, I’m still hoping for both couples: Hugo & Carmen and Baby & Daniella to reunite! I’ve got a feeling they’re hoping for this, too! Just look how they are around each other! You know I love this chapter , but , aww. Should I remember said wedding and baby? Nope, we never heard word one of a wife or a wedding, but it happened. There’s so much wrong with the relationship between Baby and Robyn. I’m trying to let my Sims live their lives, but if Robyn were my child, maaaaaaan. Oh heck yeah. It’s wrong on all levels lol, but it’s happening so they may as well straighten it out…right out the door. 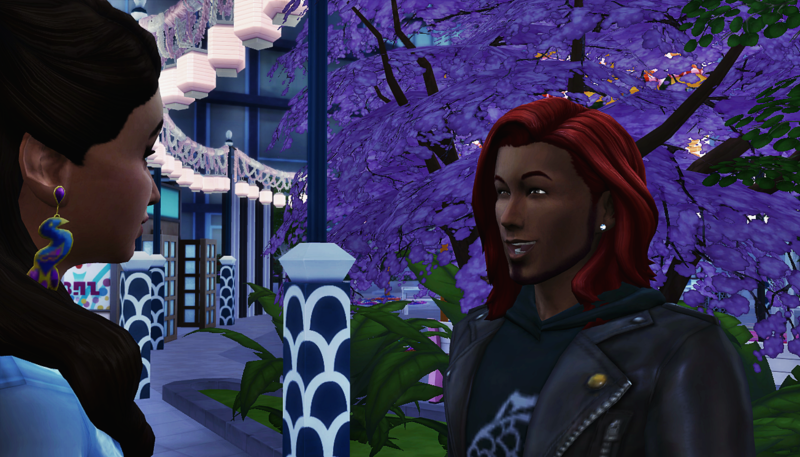 I turned on that feature of mccc a little while ago to see what could happen. In my mind, I want to write about controversial things, but I’m such a punk LOL. Lol, I share that feeling. 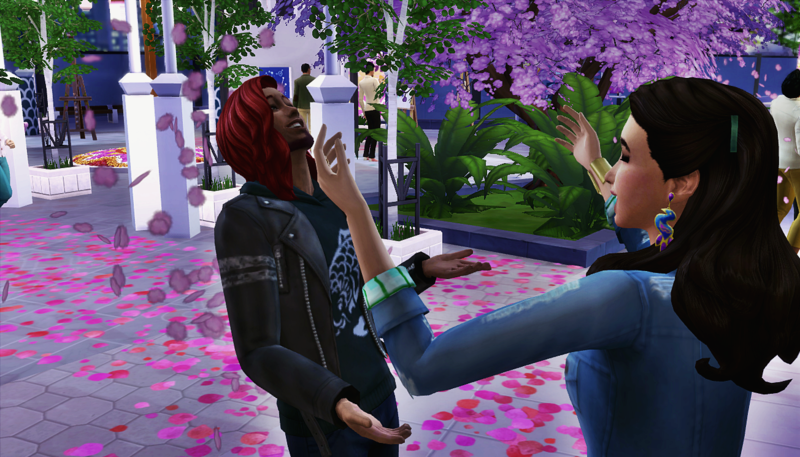 I always assume I’m going to do the storyline all wrong, lol. I’m not afraid I’ll do it wrong. Just afraid of being bold enough to do such a thing. I know he was lying to himself. 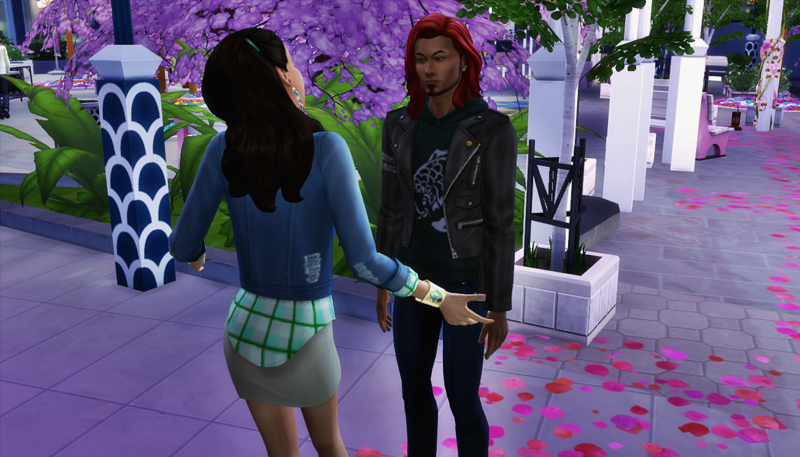 He likes her more than as a friend but at least he knows it’s wrong and needs to stop leading her on. We’ll see the next time they’re around each other if their friendship changes after tonight. Oh, Robyn…I can see why, now, she wanted to grow up, so bad…dang, this things are getting complicated! I reallly think she should start seein other people, thought, and if they truly are meant to be…maybe someday? Maybe someday? Oh my, but his wife! And their child! What would become of them? Wow….I didn’t realize or just didn’t remember he was married and with a kid to boot. Poor Robyn. He broke her heart. I wonder if she will take his advice and try to date – but I would expect since she has it bad for Baby that boys her age would seem like – well boys…so it will be hard for her to do that. But then, what the heck Baby! What did you expect! Gah! Baby was definitely lying to himself on this one. And I hinted, but never mentioned explicitly that he is married with a kid. 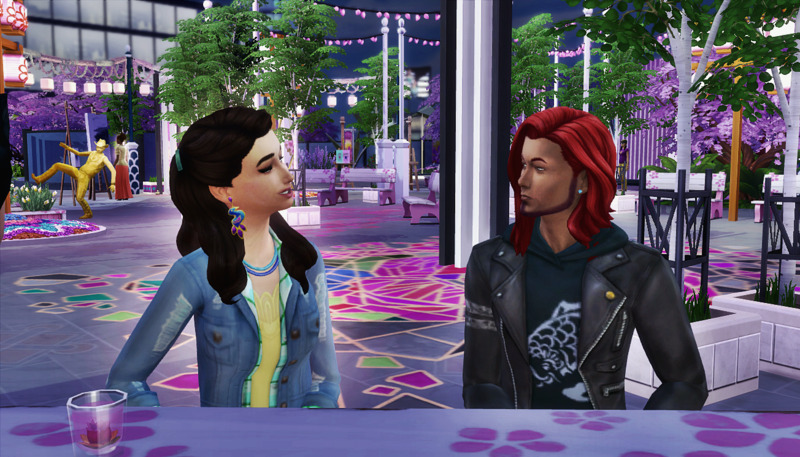 Just like Quincy and Daniella got together by meeting in that club, Baby and Lesley also met in the club Quincy created as a teen. Robyn was there too, crushing on Baby from the start. We’ll see in the next round if she takes his advice.